Illinois Gov. 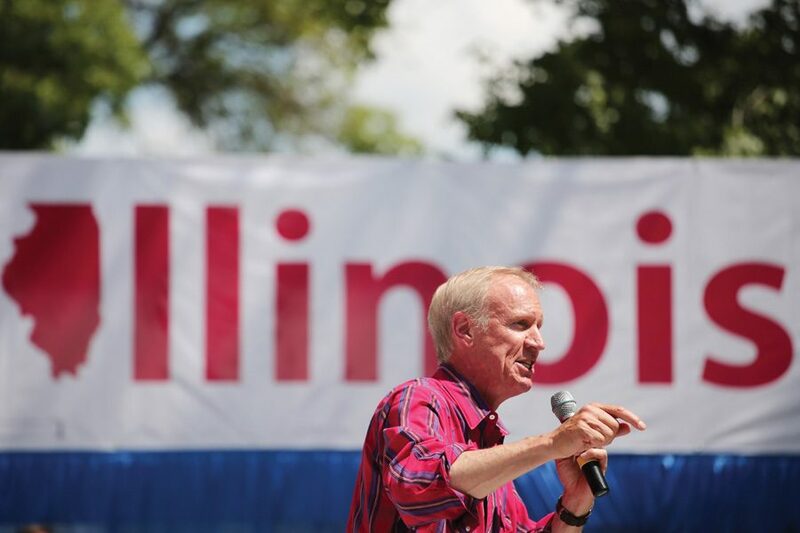 Bruce Rauner speaks in Springfield on Aug. 17. Rauner signed a bill on Friday aiming to attract out-of-state teachers to Illinois. Gov. Bruce Rauner made a move to attract out-of-state teachers to Illinois on Friday, signing into law a bill that will make it easier to obtain in-state licenses. The bipartisan bill — signed by Rauner at Carbondale Community High School — was formally introduced to the Illinois State Senate early last year and streamlines the process for out-of-state teachers looking to obtain in-state licenses. It also lowers the fees and requirements for retired teachers to return as temporary substitutes. The bill, which passed unanimously through both chambers of Congress, allows the Illinois State Board of Education to grant licenses to teachers with similar out-of-state licenses. Rauner and his allies hope the bill will reform a costly process that has likely deterred new talent from entering the state. Last year, a survey developed by the Illinois Association of Regional Superintendents of Schools found that 60 percent of responding districts struggled to fill staffing positions, and 16 percent had to cancel classes due to teacher shortages. The report also highlighted a need for qualified teachers in special education, English, mathematics and science. Bill Farmer (Weinberg ’03), the Teachers Council president at Evanston Township High School, said he sees evidence of teacher shortages in the city. At ETHS, for example, he said administrators struggle to attract teachers in “high need areas” — like math, sciences and special education — and often scramble to find adequate substitute teachers. In addition, Farmer said, inconsistent standards between states make it difficult for new teachers to obtain certification — a measure Rauner’s bill aims to address. But Farmer said the bigger problem lies in incentivising new teachers, either financially or through further recruitment. Speaking to a crowd at the bill signing on Friday, Rauner sought to ease concerns about the budget impasse and affirm his commitment to funding education.